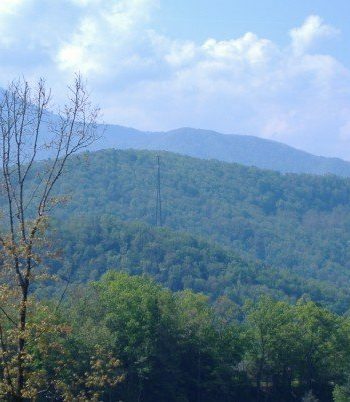 This post is written on behalf Gatlinburg Falls Resort. It contains my thoughts, my memories, and my opinions. 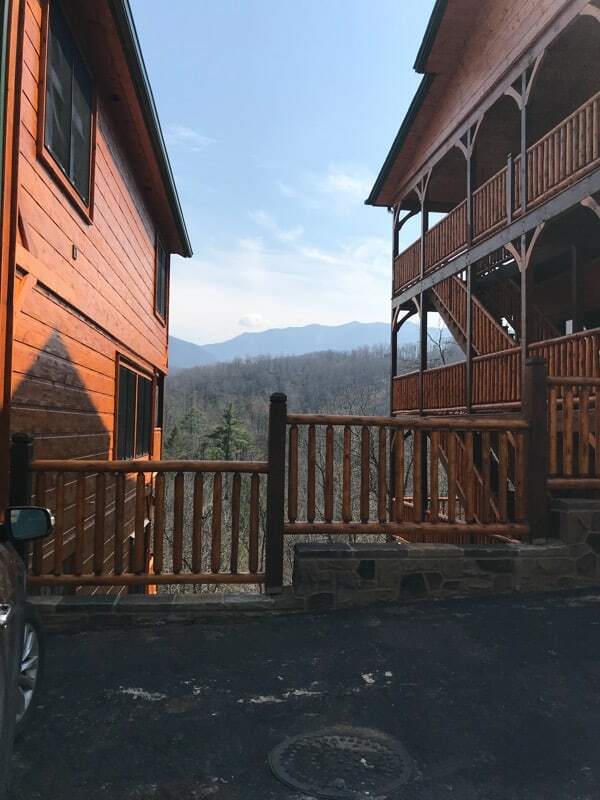 If you are planning a trip to the Smokey Mountains and are looking for lodging in Gatlinburg look no further. 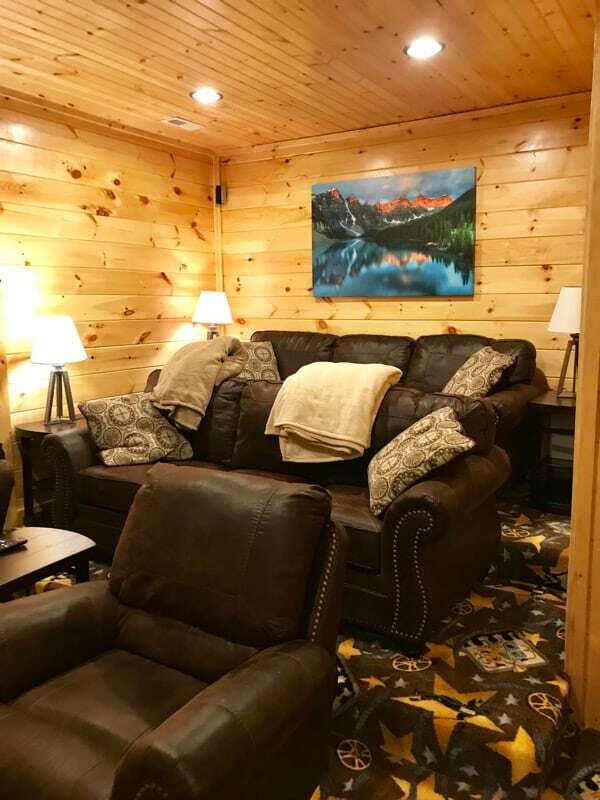 Whether you are planning on a weeklong stay with your family, or just a weekend getaway for two, Gatlinburg Falls Resort has over 400 amazing cabins to choose from in Gatlinburg, Pigeon Forge, Sevierville or Wears Valley. We’re going to wet your travel palette first and then give you the details on which cabin we stayed in! 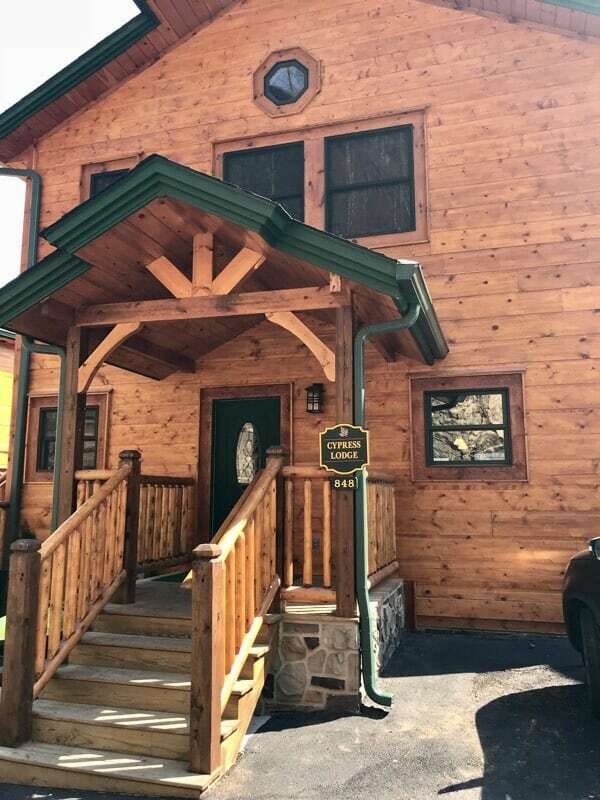 The cabin sizes range from a one-bedroom cabin, to the absolutely gigantic multifamily, 18-bedroom Smoky Mountain Mansion. 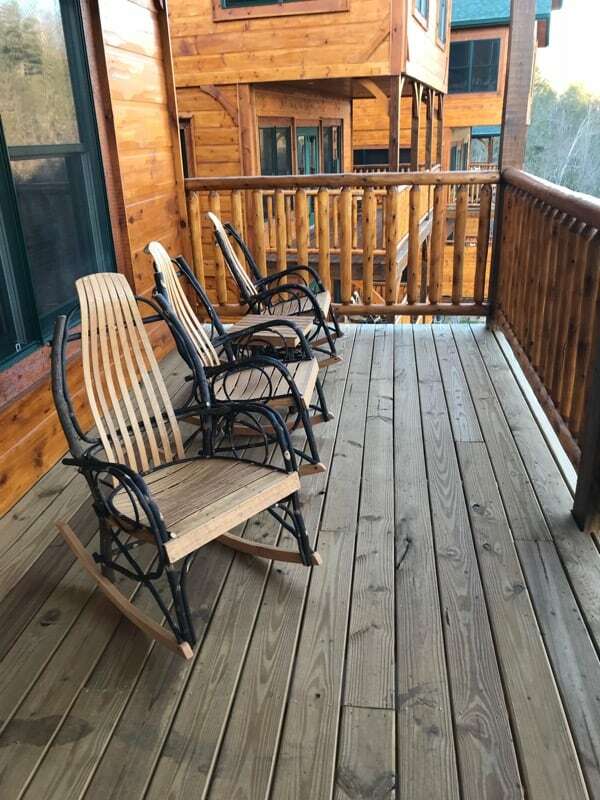 The resort provides a variety of awesome amenities, depending on which cabin you choose to stay in. There are great game rooms full of classic arcade games, like Ms. Pac-Man and Galaga. 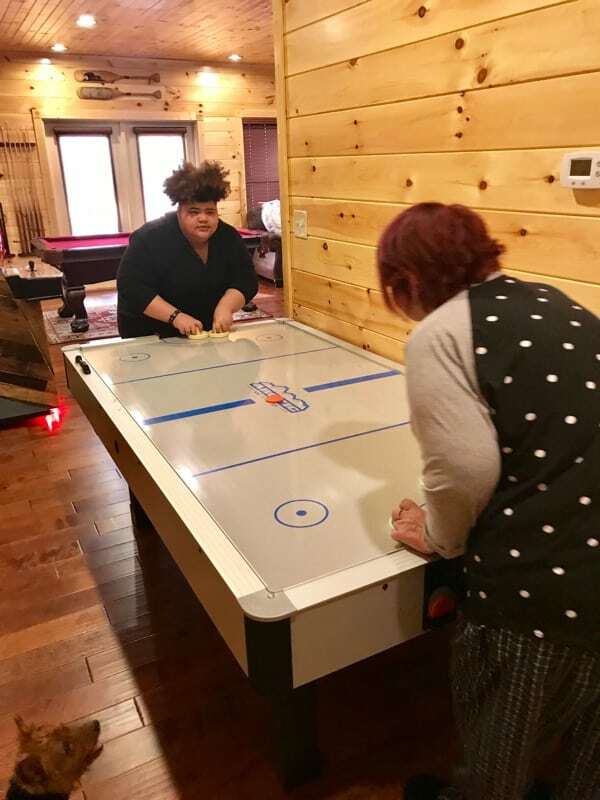 There are also pool tables, hot tubs, Jacuzzis, and even home theaters available in some of the cabins. 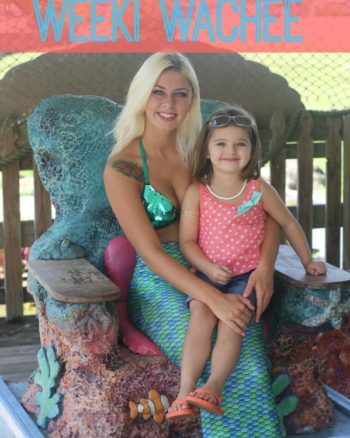 But my favorite thing about Gatinburg Falls Resort is that you can bring your entire family along on your trip, even your furry pals. The pet deposit is only $50, and there are no size or weight restrictions, so even your large German Shepherd can tag along with you. 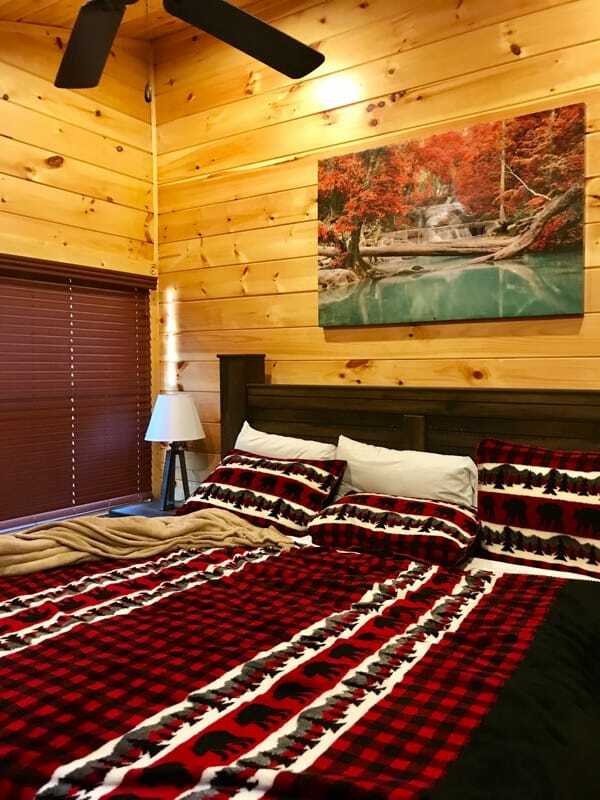 Booking your cabin is incredibly easy through their website, Gatlinburg Falls Resort. Their is a variety of vacation packages to choose from, for the newlywed honeymooners, to your average family just looking to get away and enjoy nature’s beauty (I now know the exact meaning of the mountains are calling, I must go) It also has great links to things to do nearby, as well as a calendar of events to check out. Our stay at GFR was amazing. The superior customer service, as well as all around cleanliness has me itching to come back again and visit! I cannot wait to spend a week relaxing in one of their amazing cabins again next year! 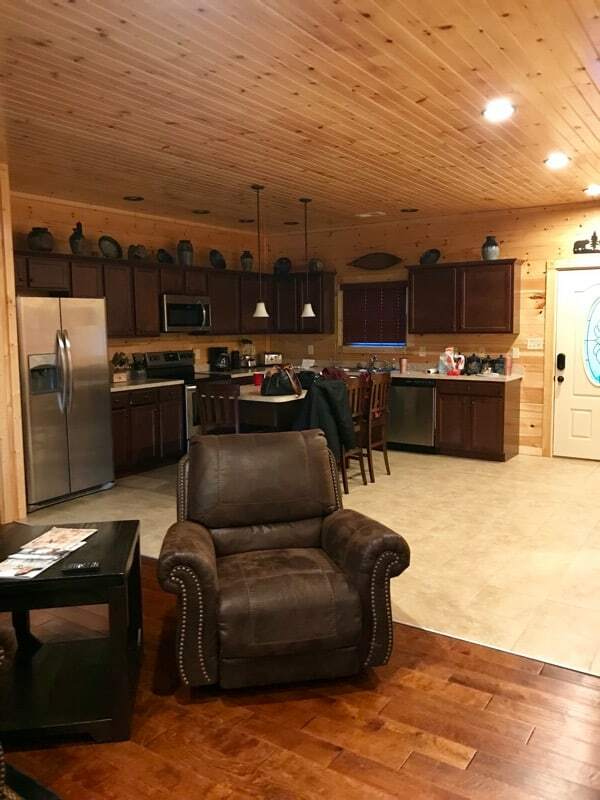 Now, onto the cabin that we stayed in…. 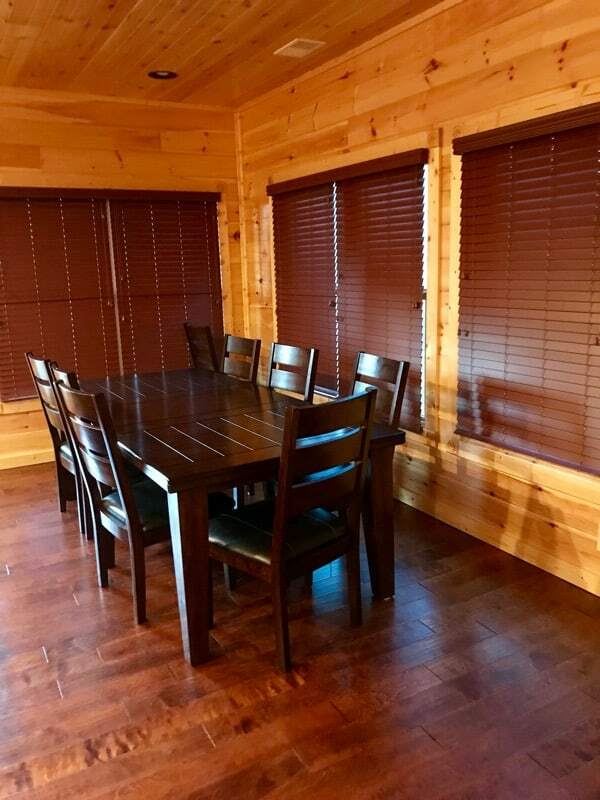 Now that you know a little more about Gatlinburg Falls Resort, I want to tell you about the cabin we stayed in. Our cabin, was Cypress Lodge. If you know me, ya’ll already know that the view was my absolute favorite. Sitting out on the porch and watching the mountains is something I could do for the rest of my life. If you don’t come here for any other reason, the view is enough to get you here. Do you see that view? Just wait, I have a better picture. 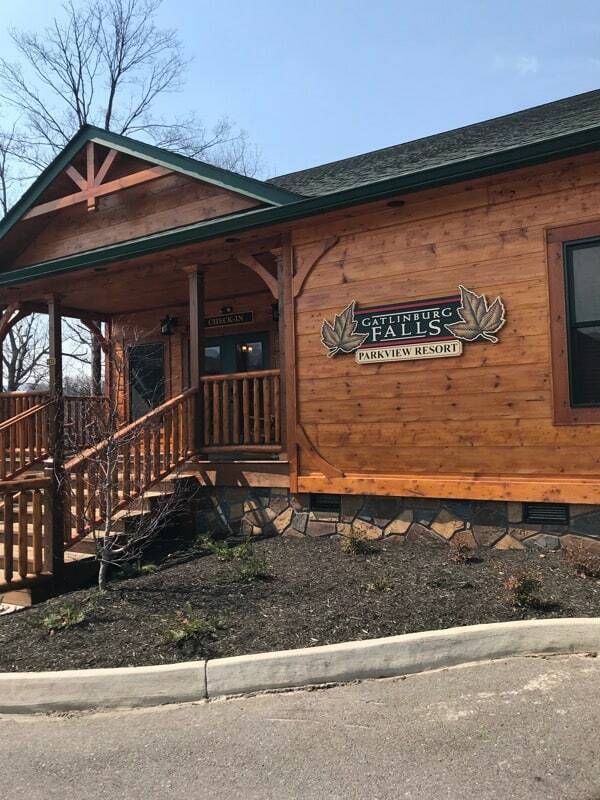 One thing you’ll find out about most of the cabins at Gatlinburg Falls Resort, especially Cypress Lodge is that they’re family friendly. Plenty of bathrooms, bedrooms, and amenities to keep everyone happy. Ya’ll, I can’t even with the hot tub. I could sit in one all day. Add the backdrop of the most beautiful mountains in the world and you’re asking for complete relaxation. 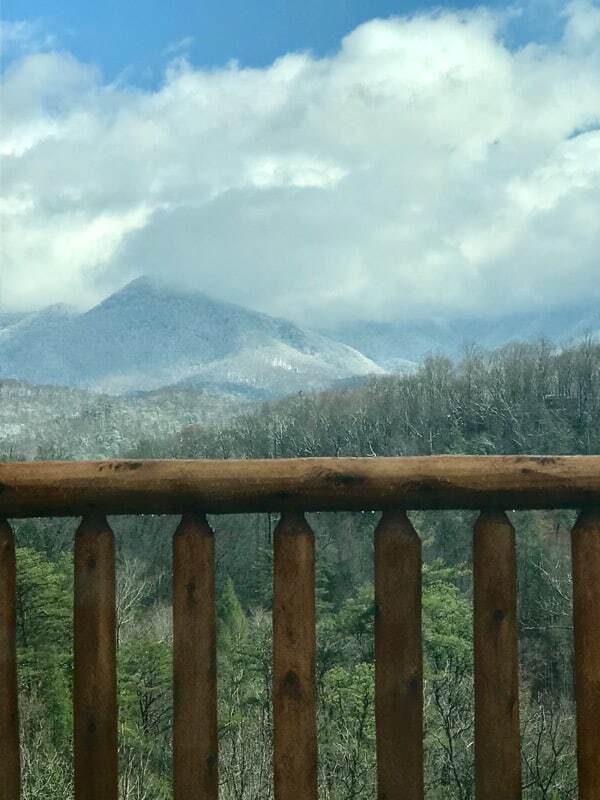 Cypress Lodge is nestled in the Smoky Mountains and the hot tub is nestled in the perfect location for breathtaking views. 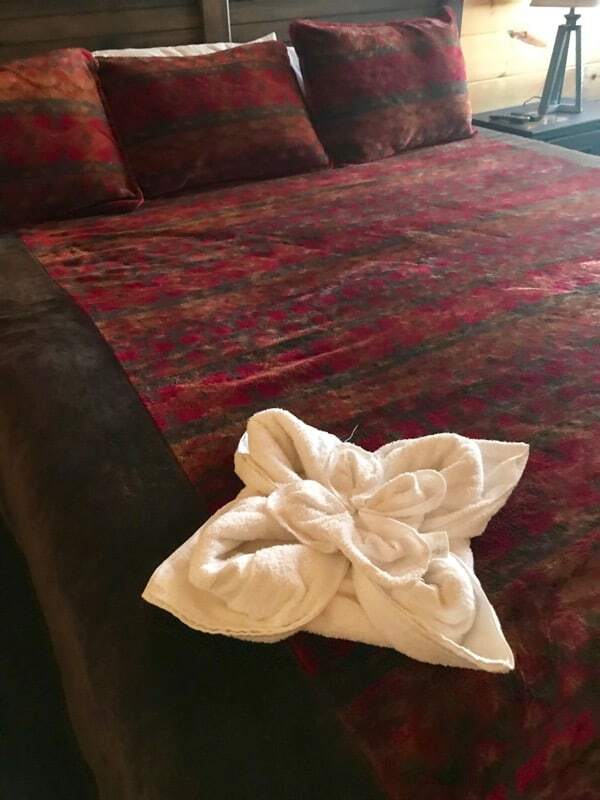 In our particular lodge, you could sleep 14. Amazing right? Everything is put together for you. When you walk in, there is cozy mountain decor. The beds are nicely made, which I didn’t even want to mess up to sleep in. The kitchen had everything you needed to make a complete meal. 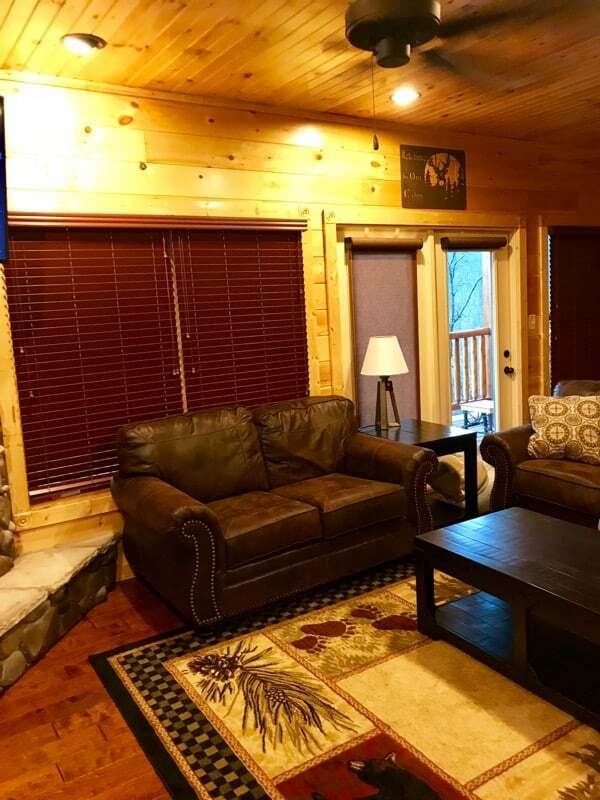 The atmosphere of Cypress Lodge is nothing short of relaxing. It has a log cabin feel all the way around. However, my daughter could have played in the arcade all day if given the chance. I love that there was a place for everyone to go and be themselves. If Mini wanted to take in the fresh air of the mountains, she could sit on the porch. If she’d rather chill and watch television or play in the arcade, she could do that too. My family couldn’t have had the time we did in Gatlinburg, without the fabulous help of Gatlinburg Falls Resort. Their cabins, especially Cypress Lodge was amazing in every way. 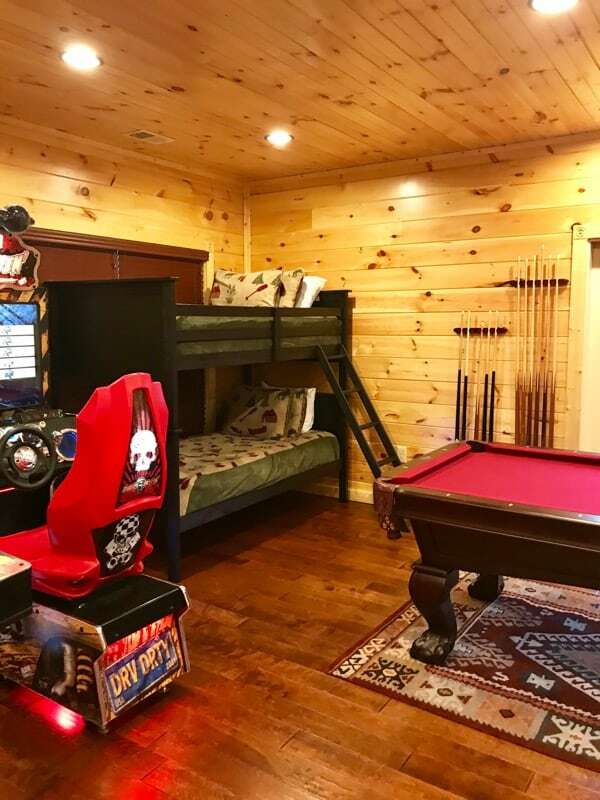 If you get the chance to stay in this cabin or any cabin at this establishment, you will be in good hands. Now, let me see what I can do to tempt you to get away to the mountains. Mountain View from Cypress Lodge Cabin. Didn’t I tell you I had a better picture. 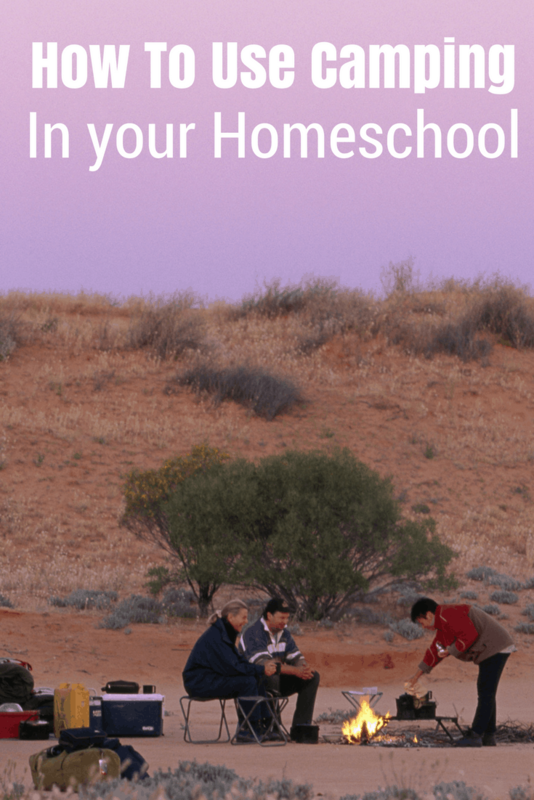 Leaving so soon? Here’s a few more posts you might like.